I-87123 | Module with one CANopen CAN Port, I-8000/WinPAC CANopen Master Library, 80186 80MHz CPU, 512K flash, 512K SRAM, 120Ω terminal resister selected by jumper. Module with one CANopen CAN Port, I-8000/WinPAC CANopen Master Library, 80186 80MHz CPU, 512K flash, 512K SRAM, 120Ω terminal resister selected by jumper. 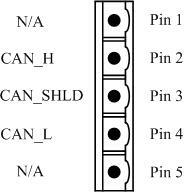 CANopen, a kind of communication protocols, is based on the intelligent field bus (CAN bus). It was developed as a standardized embedded network with highly flexible configuration capabilities. It provides standardized communication objects for real-time data (Process Data Objects, PDO), configuration data (Service Data Objects, SDO), network management data (NMT message, and Error Control), and special functions (Time Stamp, Sync message, and Emergency message). CANopen is used in many application fields, such as medical equipment, off-road vehicles, maritime electronics, public transportation, and building automation. I-87123 main control unit is specially designed for the master device of CANopen protocol. It provides many features for users such as dynamic PDO, EMCY object, error output value, and SYNC object. 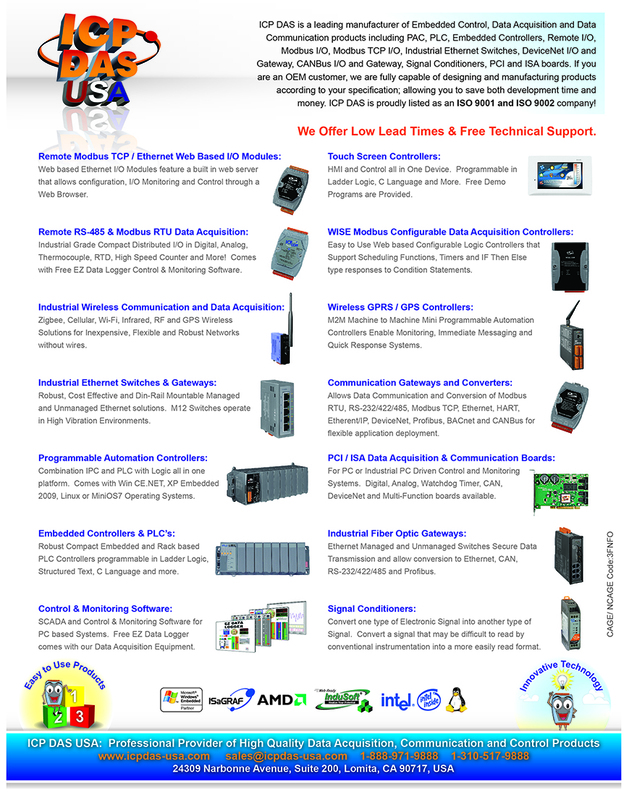 One CAN port expansion for i-8000 series MCU (main control unit) and WinCon-8000. Baud :10Kbps, 20Kbps, 50Kbps, 125Kbps, 250Kbps, 500Kbps, 800Kbps, 1Mbps. Provide C/C++ function libraries to control CANopen messages.